Usually, holograms placed in real environments through Microsoft HoloLens do not have a shadow. This is mainly due to technical reasons of the HoloLens display, as I’ll discuss in a later blog post. However, for the scene perception and to correctly determine the holographic object position in the real-world 3D space, as well as for the “feeling” that the scene looks real, shadow is of tremendous importance. To get exact numbers and to better understand the situation, I’ve written my Bachelor Thesis “Benefits and Parameters of Shadow in Augmented Reality-Environments” in 2004. Even though back then the study was done with marker-based Augmented Reality, the general setting is comparable to scenes created with HoloLens. Using an experimental approach, 23 participants were tasked with conducting tests and filling out a questionnaire, judging different AR situations. 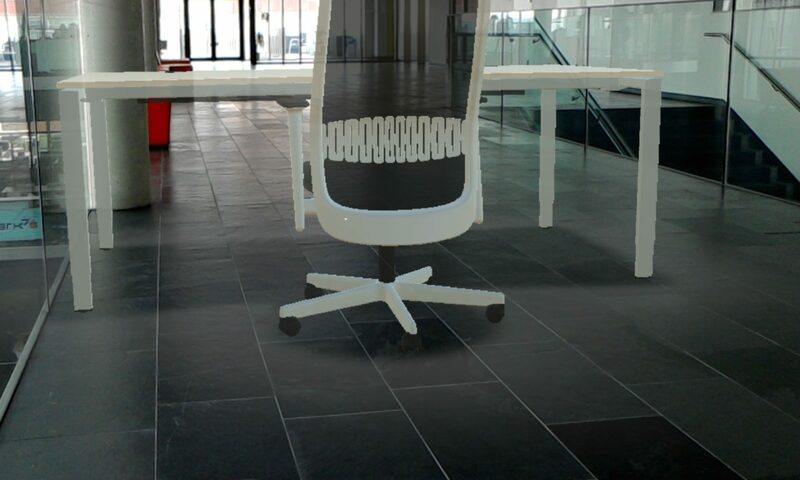 The tool to create the AR scenes was ShadowAReality by Stephan Drab et. al. 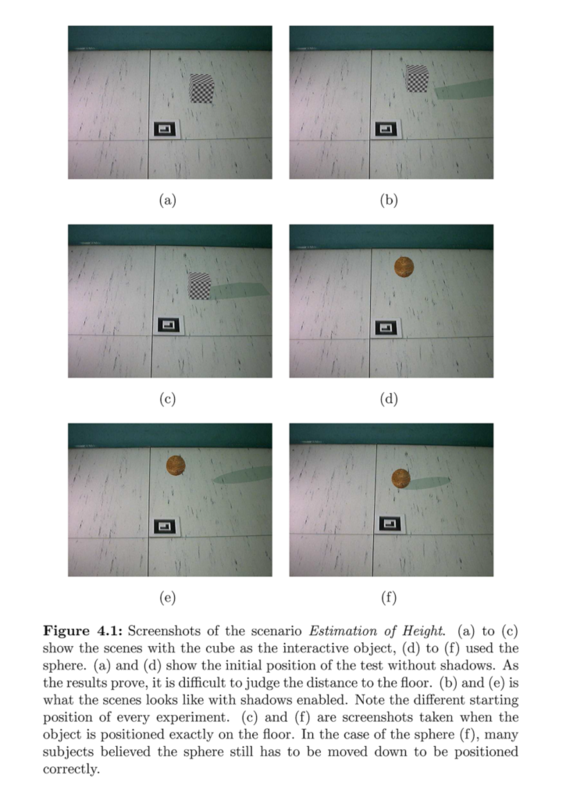 Literature research showed that shadows are of significant importance for realistic perception. They allow a correct estimation of the placement of objects in the virtual direction, as well as the distance to the camera. Furthermore, shadow defines the volume of the object. Overall, shadows contain a big amount of additional information, which obviously lacks if shadows are missing. They play an important role in how realistic a scene looks. In the first experiment, participants had to vertically move an object until they thought it was placed on the floor. Once they were confident, they had to acknowledge the position. The application then measured the placement accuracy (distance to the floor) and the time needed for positioning. In a series of 4 tests, the subjects encountered scenes with and without shadow, as well as different objects: a sphere and a cube. Results showed that shadow is a statistically highly significant factor that increases accuracy. 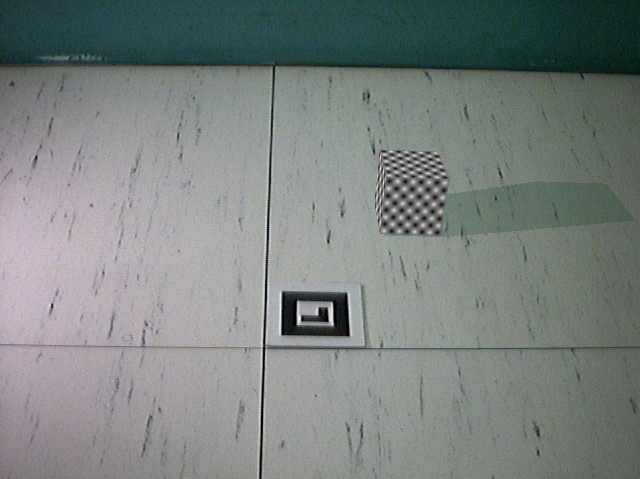 While participants had an average error of 82 mm when positioning the cube on the floor, with shadows the accuracy was much hiher with only 2 mm average error. 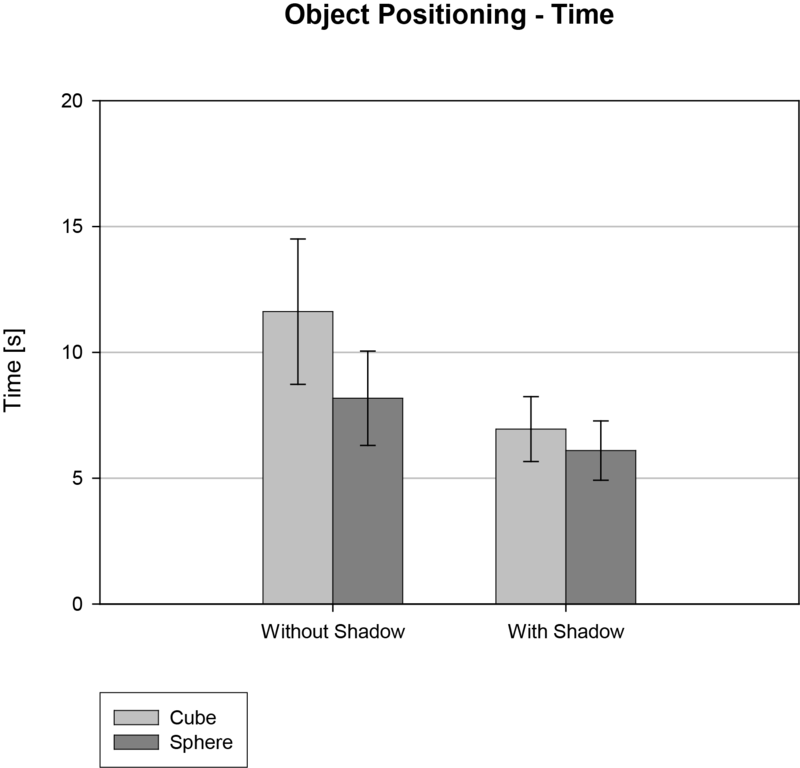 Compared to the cube, the sphere was in general easier to accurately place without shadows (average error of 50 mm). 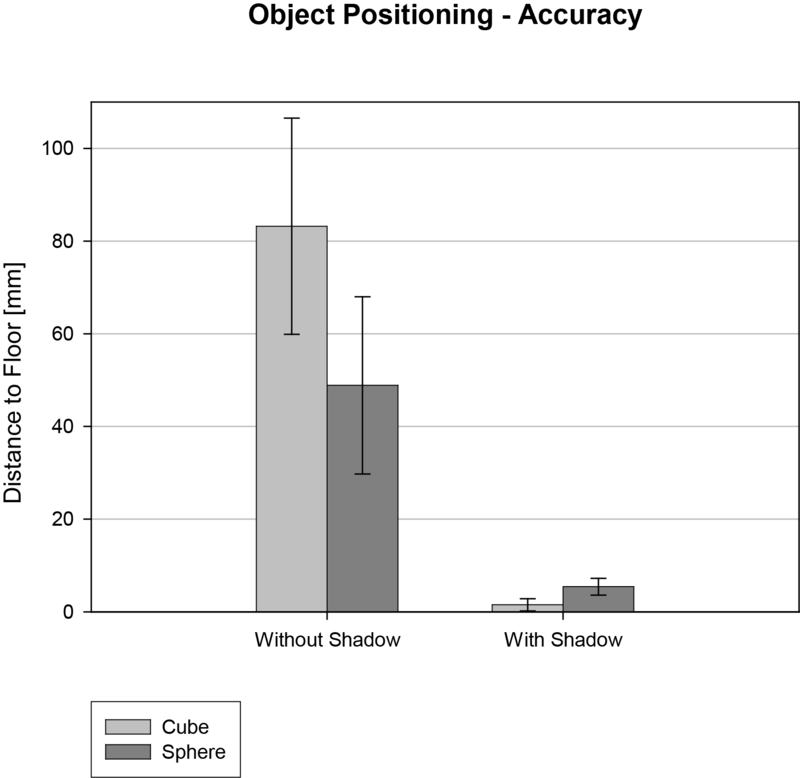 However, with shadows, the error was higher than when placing the cube. While the cube has straight edges that meet with the shadow-edges when the cube is positioned exactly on the floor, the sphere has a curved surface so that the contact of the shadow edge with the object edge can no longer be used to judge if the sphere touches the floor. Therefore, the subjects positioned the sphere too far down so that a part of the sphere would be below the floor. For objects with straight edges, accuracy as well as judgement of accuracy is therefore higher than for rounded objects. The second measurement concerned the measurement of time the participants needed to position the object on the floor until they were confident to acknowledge the position. 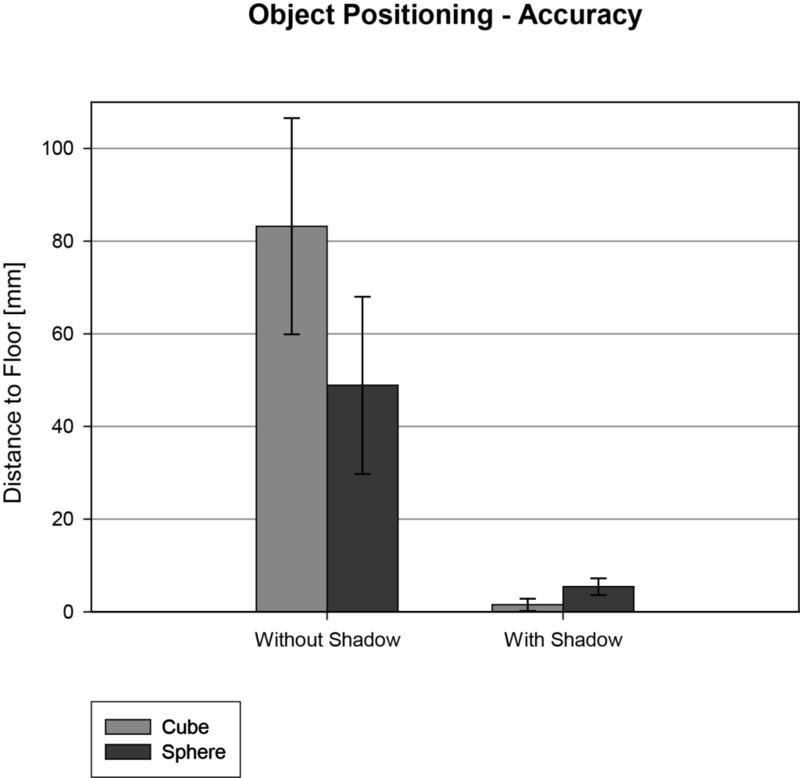 The average time was shorter if a shadow was present; for the cube scenario, the time difference was even statistically highly significant. … more results of the study in the upcoming part 2 of the post series! Next PostNext 20 – 30% Better JPEG compression from Google? My Test Results.